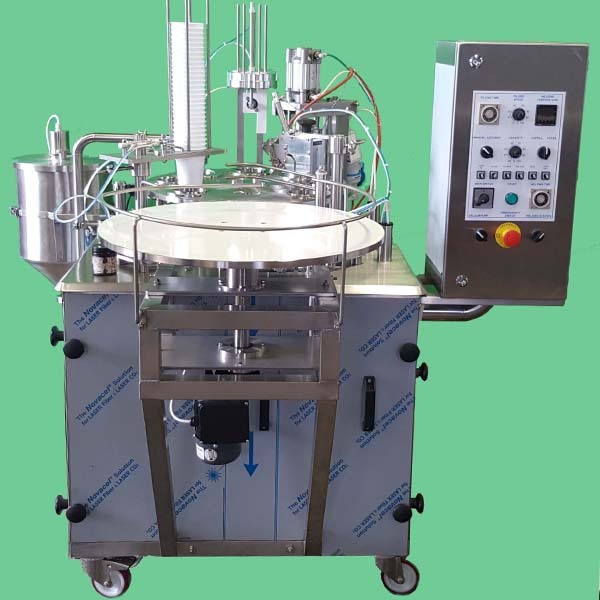 Semi automatic cup filling & sealing machine "JUNIOR HANDY"
With "Junior Handy" cup filling machines we are launching a simplified rotary machine which carries over features from automatic cup fillers to keep standards. 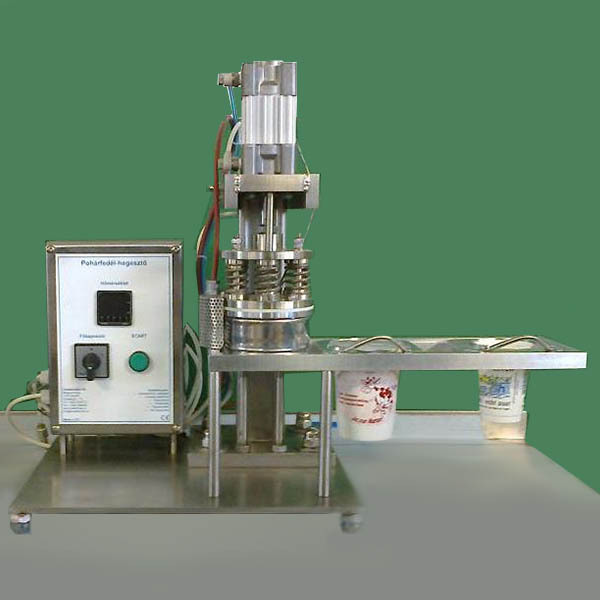 The cup filler is characterized by compact design and a reduced cup capacity, which is - depending on the cup size and volume - about 300-500 cups/hour. 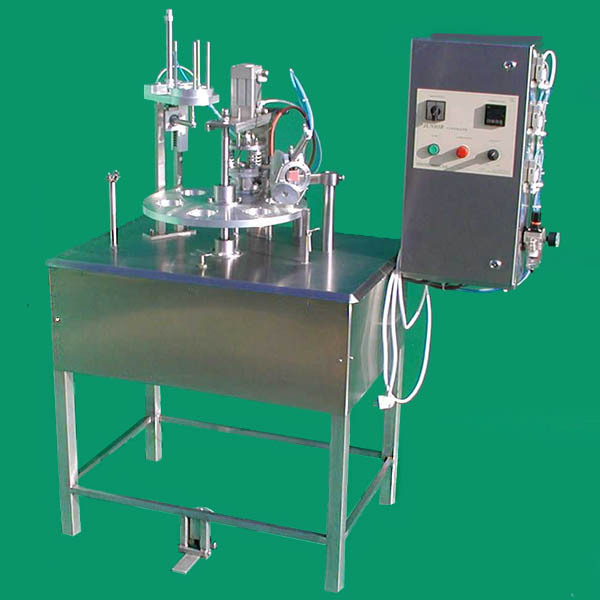 "JUNIOR HANDY" semi automatic cup filling and sealing machine is designed for filling liquid products either in format 75 mm or in 95 mm, and in 50 – 500 ml volume cups. 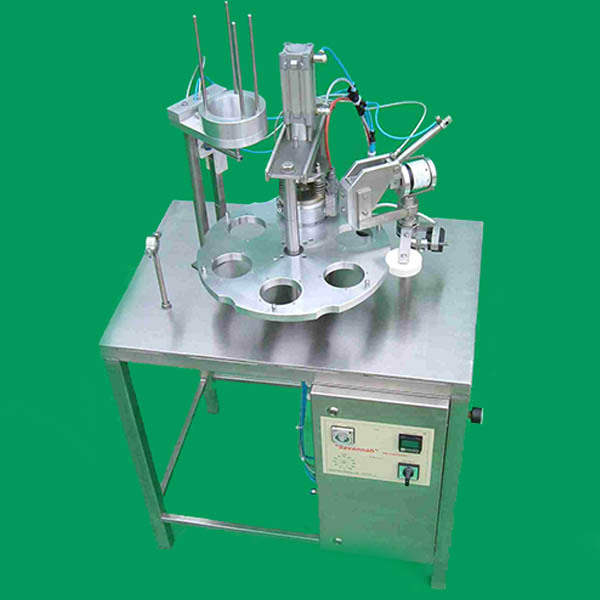 Machine is delivered with a rotating table, lid magazine and lid-applying station, sealing station and dating device. The filling is performed due to an auxiliary or stock product pump from customer side. Sealing of aluminium or polypropylene lids are also available. The complete rotary machine is made from stainless steel, if required also equipped with wheels. The cups are manually inserted and removed from the table. A lifting device is mounted to lift the cups with about 20 mm to remove it easier. The indexing is manually, the table is divided in 6 segments.